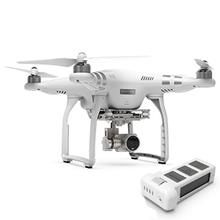 Large 7000mah battery for long endurance (about 25 minutes) flying. 1500m reliable 5.8G FPV video transmission distance, clear and easy to view. 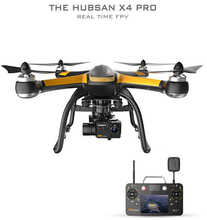 Waypoints can be set so the Hubsan H109S follows a pre-determined flight path. 3 axis gimbal automatically rotates to ensure the camera captures perfect image. 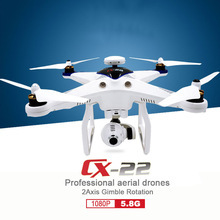 Automatic take off and landing, accurate altitude postion hold, return to home function. Telemetry including GPS status, range, speed, height, remaining battery power, quadcopter position (latitude/longitude). A failsafe parachute system ensures that if the quadcopter suffers a malfunction it will land safely without damaging persons or property (parachute sold separately).